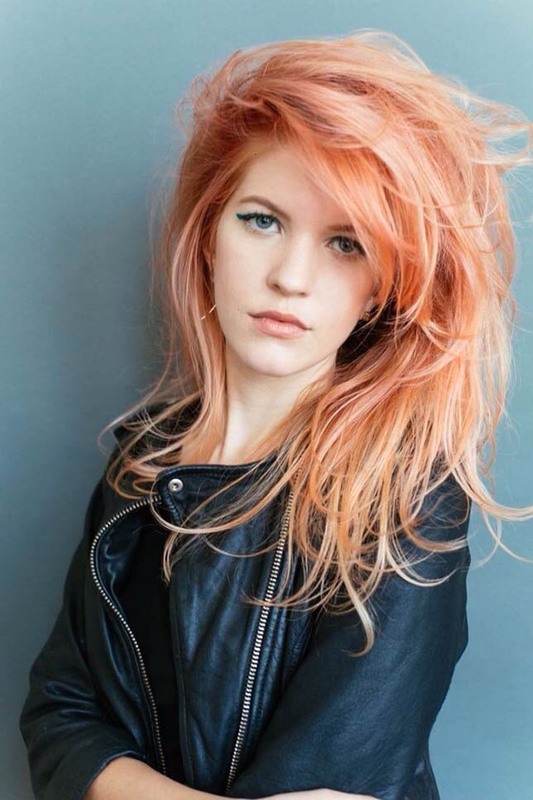 Rose Gold: this has been a popular color in recent trends, and now is a great idea for hair color as well! Light Copper: this classic color is something that can be easily worn year round (especially in the fall). This natural color will give any spring look an earthy feel. 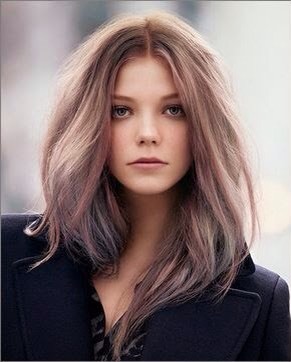 Lavender: this is a classic spring color, and would look especially pretty as a hair color. 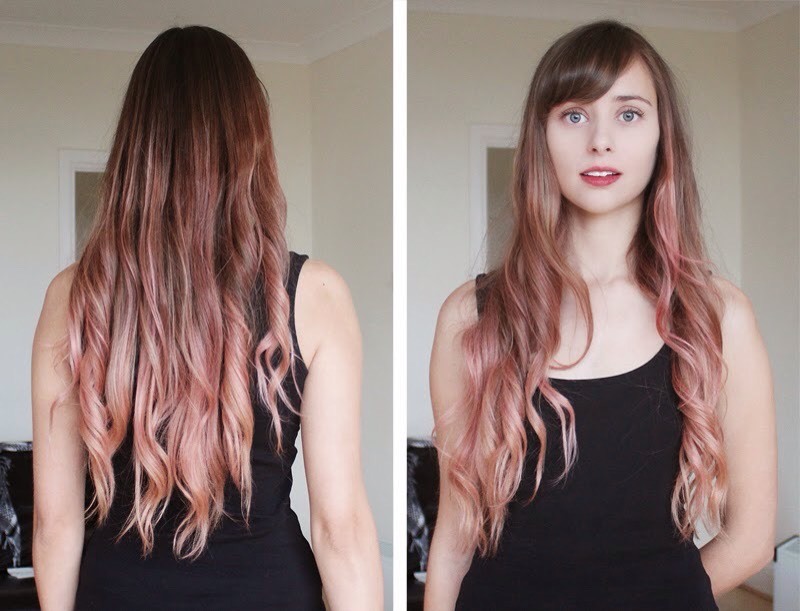 If having a full head of purple hair is too much for you, try it as an ombre or highlight! Sea Foam: this is already such a pretty color, and would be great for channeling your inner mermaid. Again, ombre or highlighting would work for a softer look. 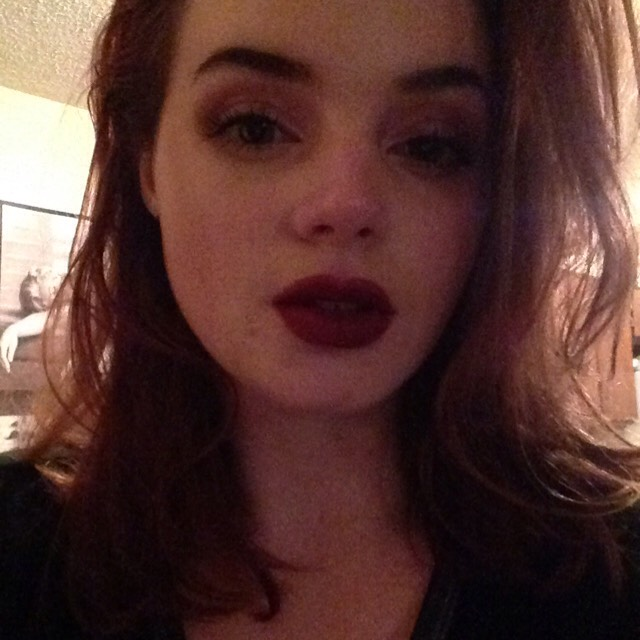 Mauve: mauve is the brownish-purplish-grayish-pinkish color that's been very popular in makeup lately. Why not have it as a hair color too? If you've been wanting to dye your hair something interesting, but afraid of anything too crazy, this would be great. 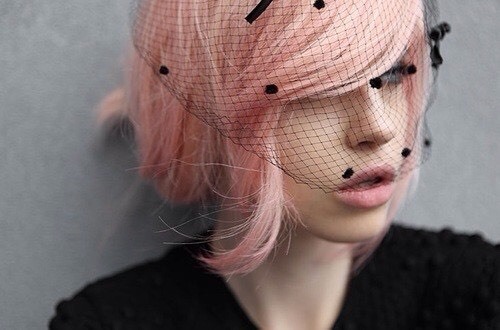 Peachy Pink: If your afraid of looking like a Barbie with pink hair, try something more peach or salmon toned. Chocolate Strawberry: this is such a lovely color if your wanting something a little more unique. 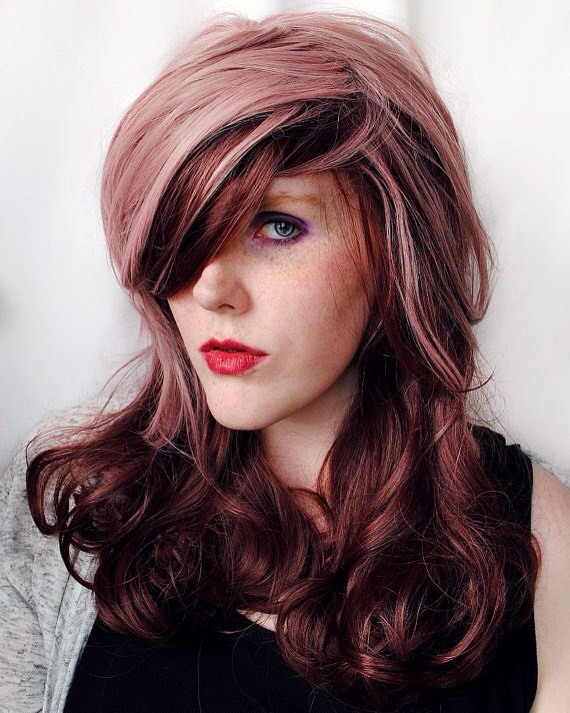 Try a pale pink and a mahogany brown.